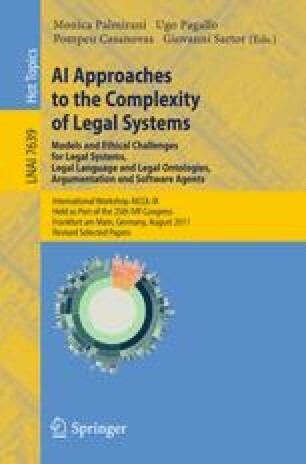 In this work we illustrate a novel approach for solving an information extraction problem on legal texts. It is based on Natural Language Processing techniques and on the adoption of a formalization that allows coupling domain knowledge and syntactic information. The proposed approach is applied to extend an existing system to assist human annotators in handling normative modificatory provisions –that are the changes to other normative texts–. Such laws ‘versioning’ problem is a hard and relevant one. We provide a linguistic and legal analysis of a particular case of modificatory provision (the efficacy suspension), show how such knowledge can be formalized in a linguistic resource such as FrameNet, and used by the semantic interpreter.